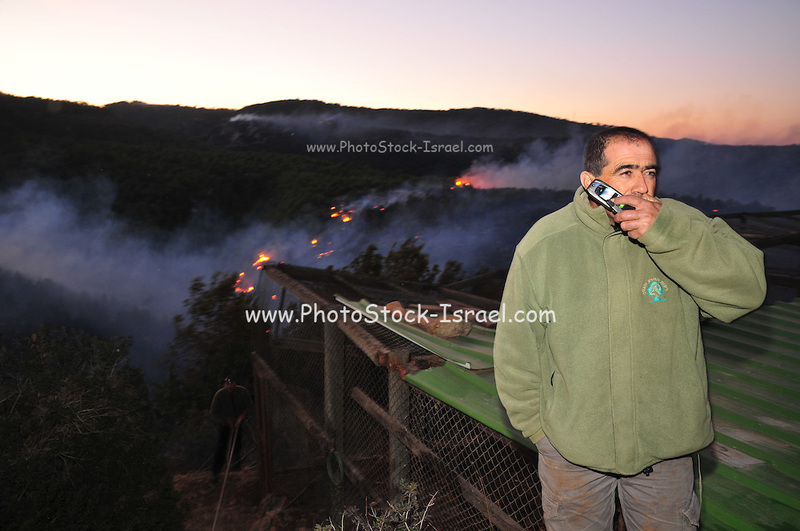 Huge forest fire rages on the Carmel Mountain South of Haifa Israel. International efforts to contain the fire have been going on for the last 3 days. December 4th 2010. Efforts to save the Hai-Bar Animal Sanctuary .